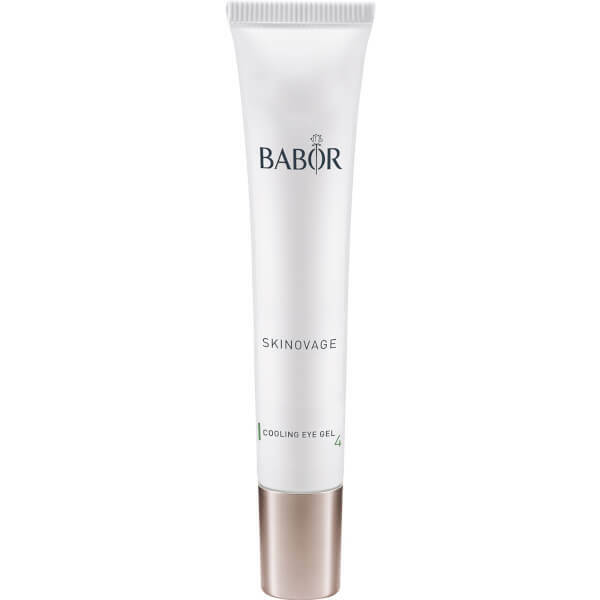 Soothe and refresh the eye area with BABOR SKINOVAGE Cooling Eye Gel, designed for skin lacking moisture and nourishment. Housed within a rollerball tube for a calming massage effect, the formula uses an active complex of Pomegranate, Caffeine and Green Tea to replenish intense moisture to the delicate skin of the eye area. The eye gel helps to erase dryness lines while balancing out dark circles and reducing puffiness, leading to a brighter and calmer eye area and a wide-awake appearance. Free from colourants and perfumes. 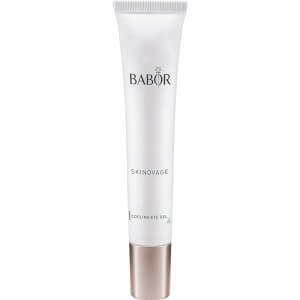 Apply to the eye area in the morning and evening, after cleansing. The roller applicator creates a pleasantly cooling massage effect. Tip: To enhance the cooling effect, keep the gel in the refrigerator.